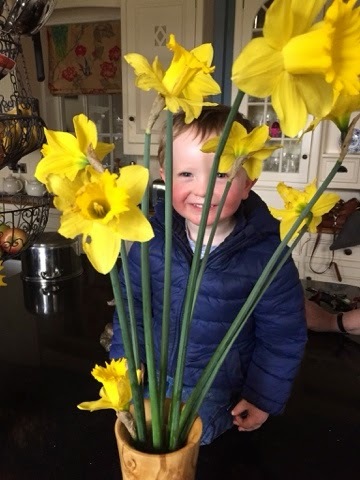 Young Lordy was out on the farm yesterday rescuing wind fallen daffodils with his Gran and making an Easter bouquet for Mummy...numbers collected were his priority not condition of bloom...he's his fathers son and all of 2 1/2 !!!! We need all the help we can get to get ready for the TOFT Alpaca Open Day on Easter Monday. One likes to look ones best!